We are moving to Cusco!!!! Well, we’d love to anyway. 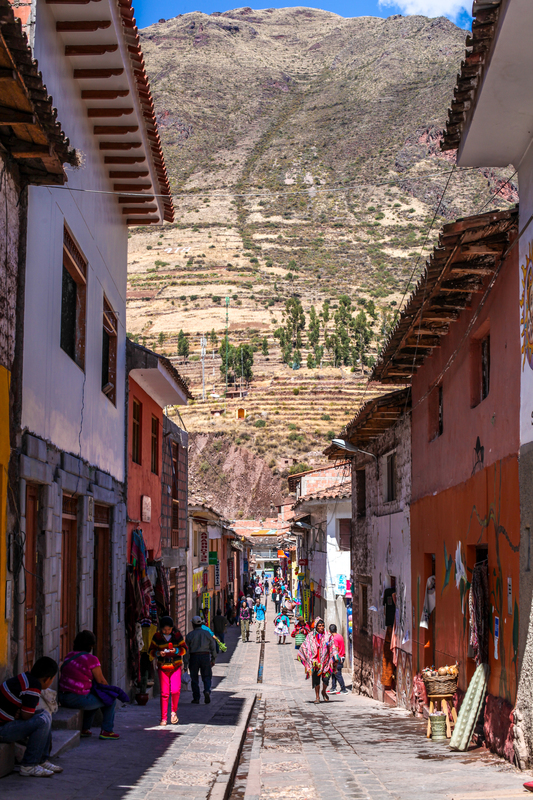 Cusco is simply just…magical. 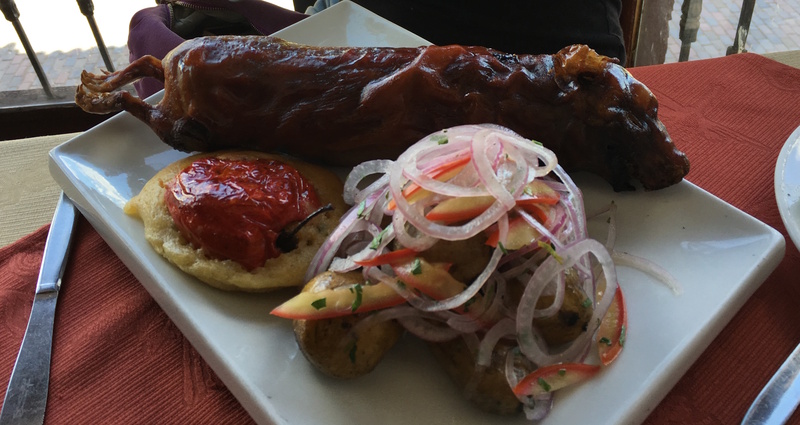 And of course, being in Perú we had to try cuy (guinea pig). We hadn’t heard the best reviews but thankfully our friend Charlotte was already planning on ordering one so we were able to try some of hers. Before you know it, we’ve blown our budget on food. So what is it about Cusco that makes it so great? Honestly, it’s everything – the beautiful architecture, it’s cleanliness, the incredible mountains surrounding the city, the wonderful people and the vibrancy of the artisanal. Or maybe it’s just all of the delicious food. 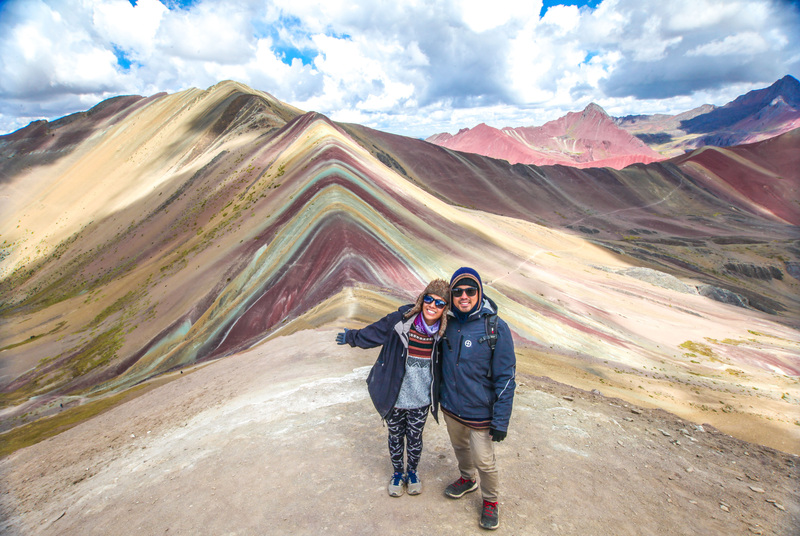 During our first week in Cusco, we see a lot of pictures around of Rainbow Mountain. 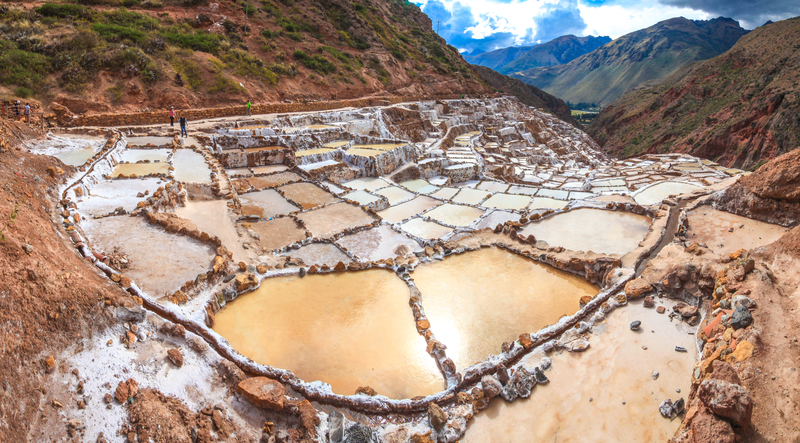 We didn’t even know of its existence until getting to Cusco. The tour company tells us that it’s a hard hike but that there are horses available. We opt for the horses because 1) we love horses 2) the hike is at high altitude and 3) we are a couple of lazy farts. We are picked up at 3 am and drive for 3 hours in the freezing cold until we arrive at the base of the hike (around 4,000m). After a typical breakfast of bread with butter and jam and tea, we are told that the horses are ready but we first have to hike the initial uphill section before we are allowed to get on. After about 20 minutes we finally get on the horses and it turns out that the horses can’t actually carry us on ANY of the steep sections so we only get to ride them through the flat sections of the hike. So, despite being on horseback half the time, this is the hardest day hike ever!! The last hill is the steepest but we push through and make it to the top at 5,021m for some breathtaking views! 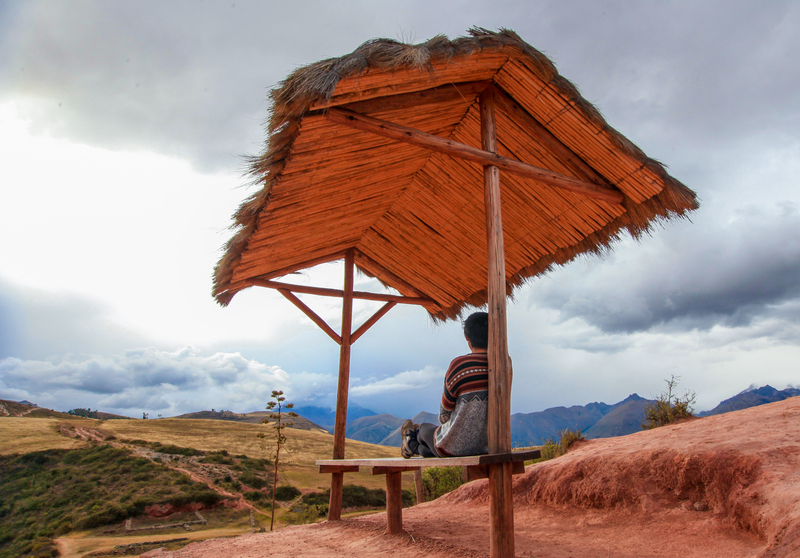 No visit to Cusco would be complete without a visit to The Sacred Valley of the Incas. The Sacred Valley is a region in Peru’s Andean highlands and with Cusco and Machu Picchu, it formed the heart of the Inca Empire. Unfortunately, as we are leaving this visit to our very last weekend in Cusco, we can only afford to spend a day between Pisac, Maras and Moray. After a long day, we smashed out our last Japanese feed and bid a sad farewell to Cusco. Read more: More information on ruins to visit near Cusco. great read and amazing photos! !